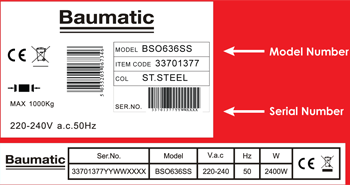 At Baumatic, we know that there’s never a convenient time for your hood breakdown. That’s why our nationwide team of expert Baumatic engineers is here to ensure you can get an appliance repair appointment within as little as two working days. With Baumatic’s appliance repair service, you can save the expense of having to buy a new appliance and get your hood back up and running before you’ve had time to miss it.